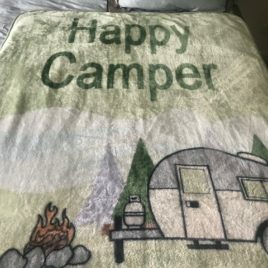 Campfire Accessories Archives - Outdoors Unlimited, Inc.
Great for twin bedspread or as blanket! 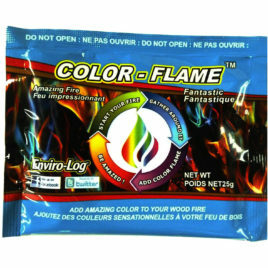 Add amazing color to your wood fire! Skeeterlogs are 8” x 2” and made of All Natural recycled wood product. They are infused with 8 different natural oils that are natural repellents. The oils are Lemongrass, Geranium, Cinnamon, Citronella, Citrus, Thyme, Peppermint and Rosemary. Each log is nontoxic, nonhazardous and biodegradable. 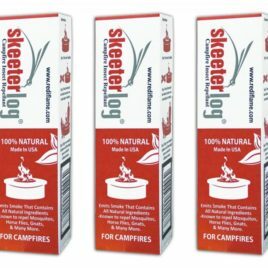 The Skeeterlog combines the natural ability of heat and smoke to dispense a 100% natural blend of pest repellents. Each log smolders for over 6 hrs.